Although broadcast certified is not an "official" designation, the Canon XF300 was approved by BBC Television as the smallest and least expensive camera to be certified for broadcast use. That means the BBC allows the XF300 to shoot full programs, unlike other similar-sized cameras that are allowed for pick-up shots only. The Canon XF300 is a solid state memory card-based camcorder that records MPEG-2 video at 50 Mbps using three raster 1920x1080 CMOS sensors. Recordings are made on Compact Flash memory cards. The 18x Canon L Series Lens easily supports the 1,000+ lines of resolution that the sensors are capable of, shooting extremely high resolution. At f/1.6, the lens is one of the fastest in its class with superior low-light capability. The three CMOS sensors are full raster, which means that they're full size and resolution, producing true HD video. The Canon XF300 also produces 4.2.2 colour encoding, which means that it has twice the colour bandwidth than most other camcorders. The 4.2.2. also lends itself to far better chromakey effects. 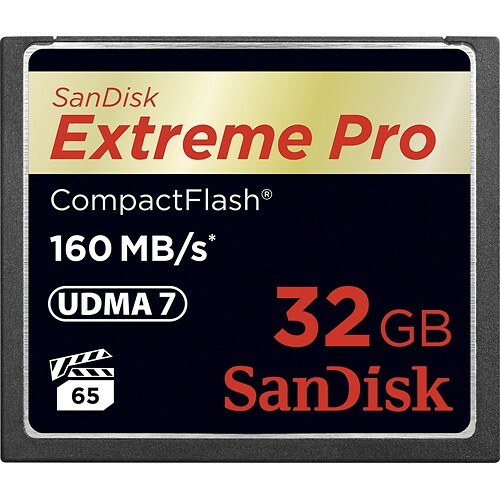 The Compact Flash memory cards are an industry standard. Cards with UDMA Class 4 ratings or above are capable of recording video at speeds 400x or higher. Card sizes vary, but the recommended size is 32GB UDMA cards, which can record up to 80 minutes of video. The Canon XF300 uses two CF card slots that are capable of relay recording, which means that as soon as one card is filled up, the recording continues on the other card without missing a beat. Don't get terribly intimidated by all the buttons on this camera. Some of them will come in quite handy. For example, one of the highlights of this camera is the Push Auto Iris button. When you work in manual mode you can temporarily override your manual exposure settings. 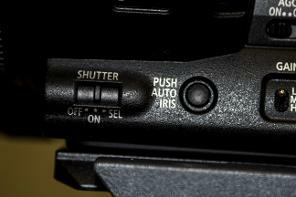 Press and hold the Push Auto Iris button to achieve optimal aperture value and exposure. You can then compare your settings with what the camera has to say. It will display the f-stop and shutter values on the screen to show the change between manual and automatic.